Raiders of the Lost Ark IMAX Re-Release Planned for One Week in September. Indiana Jones Trilogy on Blu-ray Sept 18. Lucasfilm Ltd., Paramount Home Media Distribution and IMAX have announced that George Lucas’ unforgettable Raiders of the Lost Ark will be released for an exclusive one-week engagement in select IMAX theatres beginning September 7, 2012. The film has undergone a complete restoration for IMAX and subsequent Indiana Jones: The Complete Adventures debut on Blu-ray September 18, 2012. The Blu-ray will include all four of Indy’s thrilling adventures, using the highest possible high definition picture and audio presentation – along with a “best of” collection of documentaries, interviews, featurettes and a few new surprises. The box set will include all four Indiana Jones films directed by Steven Spielberg: ‘Raiders of the Lost Ark’ (1981), ‘Indiana Jones and the Temple of Doom’ (1984), ‘Indiana Jones and the Last Crusade’ (1989) and ‘Indiana Jones and the Kingdom of the Crystal Skull’ (2008). 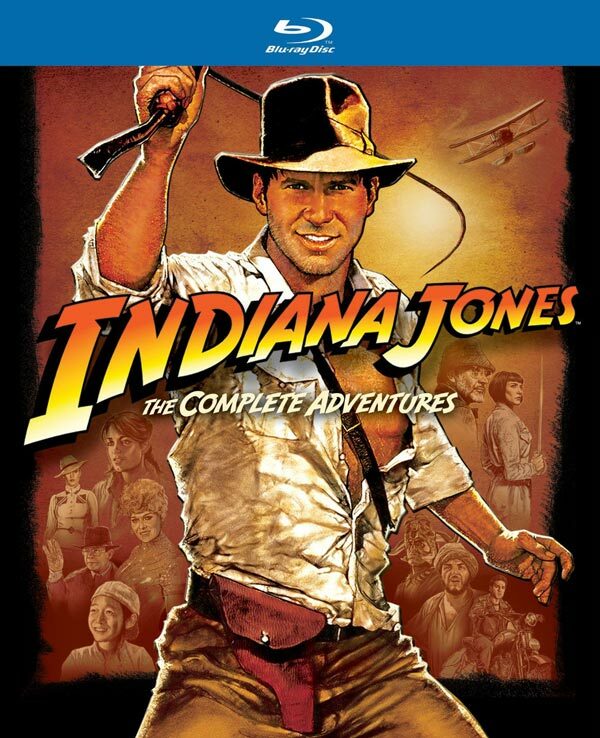 Indiana Jones: The Complete Adventures is available now at Amazon.com.